The Nigerian National Petroleum Corporation (NNPC) said it realised $470 million in crude oil and gas export sale in August, indicating an increase of about $78 million in relation to July export figures of $391.91million. This was disclosed in the NNPC's monthly Financial and Operations Report for August released Wednesday in Abuja by its Group General Manager, Group Public Affairs, Ndu Ughamadu. The report indicated crude oil export sales contributed $ 337.62 million, which represents 71.83 per cent of the dollar transactions; compared with $283.43 million contribution in the previous month. According to the report, export gas sales during the period amounted to $132.38 million, adding that August 2017 to August 2018 crude oil and gas transactions were worth $5.23 billion. It further explained that based on the above sales figures, a total export receipt of $450.24 million was recorded in August as against $382.65 million in July. Contribution from crude oil during the period amounted to $336.43 million, while gas and miscellaneous receipts stood at $101.33million and $12.48 million respectively. A further breakdown of the figures showed that out of the export receipts, $142.31million was remitted to the Federation Account, while $307.93 million was remitted to fund the JV cost recovery for August, to guarantee current and future production. The total export crude oil and gas receipt for the period August 2017 to August this year stood at $5.23 billion, out of which $3.74 billion was transferred to JV Cash Call as first line charge and the balance of $1.49 billion paid into the Federation Account. The report said that NNPC transferred N128.40 billion into the Naira Account of the Federation for the month under review. It was also explained that from August 2017 to August 2018, the Federation and JV received N879.02 billion and N651.4 billion respectively. Providing insight into the corporation's remittances to the national treasury, the NNPC explained that the Federation Crude Oil and Gas Revenue, Federation Crude Oil and Gas lifting, are broadly classified into Equity Export and Domestic crude which are lifted and marketed by the corporation and the proceeds remitted into the Federation Account. NNPC informed that equity export receipts, after adjusting for Joint Venture (JV) Cash Calls, are paid directly into the Federation Account domiciled in Central Bank of Nigeria (CBN). 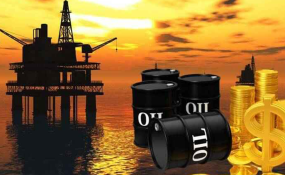 The corporation said domestic crude oil of 445,000 bpd was allocated for refining to meet domestic products supply, and payments were effected to the Federation Account by NNPC after adjusting crude and product losses and pipeline repairs and management costs incurred during the period.